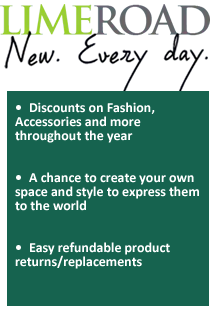 Sign up for free and just shop with LimeRoad as normal. Our average member earns over ₹5900 cashback a year. 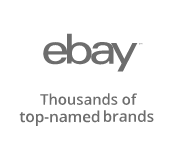 LimeRoad is an online shopping website primarily for men and women’s fashion and lifestyle products. Accessories such as bags, watches, makeup and grooming, jewelry, sunglasses are also available. Apart from fashion products the online store offers a huge collection in kids clothing, home and décor items such as furnishing items, clocks, bathing items and kitchenware products like cookware, storage, tableware and other kitchen appliances. Ideated and founded by Suchi Mukherjee, who is also currently the CEO, the company was started out as an online shopping store for women. Eventually, with the popularity of LimeRoad soaring, additional stores like men’s fashion, kid’s store, Home and Décor and Kitchen were added to the portal. Shop using the exclusive LimeRoad offers on TopCashback on any store or brand and save money by getting cash back on your every purchase. LimeRoad is home to 45 top notch Indian designers like Kashmir by Tanya Anand, Nidhi Munim, Ritu Kumar, ADA, Kaanchie Nanggia and Kazo. The premium brand online store includes Crimsoune Club, Mochi, Varanga, AND, Classicate from the House of The Chennai Silks, Voylla, Metro, Label Ritu Kumar with over 28,000 products. The womenswear and lifestyle store is particularly is a really well stocked one where you can find ethnic Indian clothing items such as kurta kurtis, suits, and dress materials, sarees, lehenga and anarkalis, blouses, dupattas, churidar sets, skirts, tapered pants and palazzos. Western wear items such as dresses, jumpsuits, tops, shirts, tunics, jeans, kaftans, maternity wear, shrugs, and tees are available including products from featured designers like Preeti S Kapoor and Preeti Tomar. Find awesome winter wear collection such as jackets, blazers, cardigans, sweatshirts, woolen leggings, women kurtas, shawls, stoles and thermal inner wear. Get trendy winter clothing from brands like Renka, Campus Sutra, Femelia and designer Tanya Anand. Shop from a superb collection of footwear for women starting from ballerinas, sandals, pumps, flip flops to loafers, casual shoes, boots, formal shoes, and sports shoes. Select from the top brands like Metro, Mochi, Truffle Collection and designer brands like Bling Footwear. Shop online using TopCashback discount coupons to get massive rebates on your purchase. The company has some amazingly fashionable bags on its rooster where you can get handbags for women, sling bags, backpacks, clutches, tote bags, wallets, and purses from brands like Diana Korr, Mark and Keith, Lynchee Bags, Vivianka and Fristo. Purchase accessories such as earrings, necklaces, bracelets, bangles, anklets and watches, sunglasses, mobile covers and clothing accessories at affordable prices with brilliant discounts. Beauty products such as makeup, skin care, bath and body, hair care, and beauty combos are also available here. The men’s clothing section consists of a large number of items such as t-shirts, casual and formal shirts, suits and blazers, waistcoats, jeans, casual and formal trousers, joggers, and shorts. Indian wear such as kurtas and ethnic wear sets, sportswear such as track pants, track suits, swimsuits and men’s innerwear like briefs, boxers and vests are available here. Brand fanatics can choose from a huge array of brands like Jockey, Mufti, Numero Uno, Marvel, Wrangler, Pepe Jeans, Spykar, and Celio. Winter wear such as jackets, pullovers, biker jackets, cardigans, mufflers, thermals and gloves are also available in this store. Shop from a really cool collection of casual and formal shoes like sneakers, boots, loafers, moccasins, boat shoes, slip on, Oxfords, Brogues and Derby Shoes. Sports shoes, sandals, flip-flops, mules, clogs and Indian styled jutis and mojaris are also available. The featured brands include Woodland, Puma, Converse, Nike, Allen Cooper and Bruno Manetti. LimeRoad also houses some really cool accessories for men such as digital, analog and chronograph watches, backpacks, laptop bags, deodorants, perfumes for men, belts, wallets, hair and body care items, cufflinks, caps and hats, handkerchiefs, pocket squares, and bracelets. Watch out for the latest LimeRoad offers on TopCashback to save money when you shop for your favorite product on the portal. The portal stocks a huge collection for boys, girls, and infants. You can find super cool t-shirts, jeans, winterwear, shirts, innerwear nightwear, ethnic Indian wear and footwear like casual shoes, sports shoes, sandals, slippers and formal shoes for both boys and girls from brands like Allen Solly, Nike, Lilliput, and Disney. Find the latest kids accessories such as bags, fidget spinners, hair accessories, watches, sunglasses, bottles mugs and more. The Infant care section consists of onesies and rompers, tops and tees, t-shirts, frocks, innerwear, sets and bottom wear for both baby girls and boys. It also has a nice baby bedding store where young parents can find bedsheets, cute pillows and pillow covers, blankets, curtains, quilts, mats and wall décor for the baby room. While you are at it don’t forget to find the latest baby and kid offers on TopCashback to maximize your savings! Upgrade your home today with the awesome products on LimeRoad Home and Décor section where you can find beautiful home furnishing products like bed sheets, quilts, blankets, diwan sets, bed covers, pillows and pillow covers. You can also find bath items such as towels, shower curtains, bathrobes and bath sets here. Décor and furniture products such as beanbag covers, wooden furniture, clocks, curtains, cushions, rugs, carpets, wall décor, candles, photo frames, vases, garden items and other home products are available at wonderful rates. The top brands here are Bombay Dyeing, Sleep Sure, Cortina, Trident, Bianca, and Dreamscape. Planning to buy something new for your kitchen? Check out the kitchen store on Limeroad where you can shop for pressure cookers, tawas, sauce and frying pans, cookware sets, kitchen appliances, bakeware, table linens, lunch boxes, bottles, contains casseroles and racks. It also stocks tableware such as dinner sets, cutlery items, loose dinnerware, coasters and trivets, serving sets, mugs, coffee and tea sets and barware items like glass sets, bar tools, and premium glassware. While you’re at it, don’t forget to shop using the latest TopCashback offers and promo codes to get an additional discount on the product of your choice. The featured brands for the LimeRoad kitchen store include WonderChef, Nirlon, JVA, Tupperware, Jen, and Disha. If you’re a bargain hunter you’ll love this store on LimeRoad where you can find men’s, women’s and kid’s collection at super discounted prices. Find beautiful sarees, suits, kurtas, dresses, tops, tanks, crop tops and footwear, bags, jutis, lingerie, and bottom wear for women at never seen before prices. Huge varieties of kitchen essentials, home décor, and furnishing contain at attractive prices are also available here. Getting extra money back on TopCashback for your online purchase on LimeRoad is extremely simple and absolutely free. We have highest LimeRoad Offers and all you have to do is click on “Get Cashback” and we’ll forward you to the retailer’s page where you shop as normal. 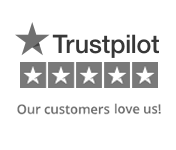 After the purchase is made, we give you back a percentage of your final amount as Cashback which you can withdraw later through the multiple channels on our website once it reaches Payable status. This extra money back bonus is valid over all LimeRoad discount coupons that you may find on our or the retailer’s website. You can also read this guide to know more about how TopCashback works and other fun details about cashback. So what are you waiting for? Join TopCashback and start saving money on your every online shopping on LimeRoad today! 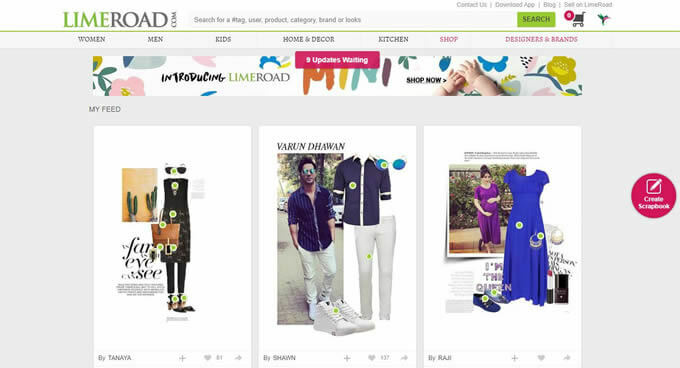 Initially started off as a women’s only website, LimeRoad has quickly become a major force in men and women’s fashion and accessories. The portal also stocks kids clothing and essentials, home décor and furnishing products and kitchen tools starting from pots and pans to kitchen appliances and storage items. You can choose from a myriad of products from popular designers and premium brands like Ritu Kumar, Coral Haze, AND, XPose, Lavanya, Nidhi Munim, PinkShink, Kushalam, Vajor, Kazo and much more. Find the latest promo codes and discount deals on fashion on TopCashback and shop using our cash back offers to get extra bonus money back on your every purchase!